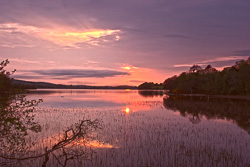 Sligo is the West of Ireland county that was loved and revered by W.B Yeats, one of Ireland?s (and the world?s) greatest poets. 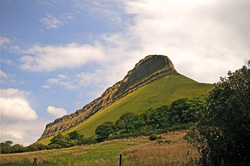 He has made some of these places famous: Inisfree, Ben Bulben, Lissadell, Drumcliffe and Glencar with its waterfall. 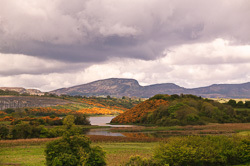 It is easy to see why Yeats fell in love with Sligo: it is a stunning county with extraordinary mountains, the loveliest of lakes and a wild and majestic coast. It is also an intimate county with hidden spots with hazel woods and streams and hilly lands and hollow lands, to paraphrase Yeats. 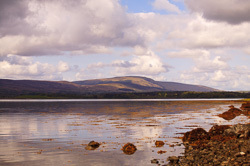 Sligo is a paradise for walkers and fishermen ? 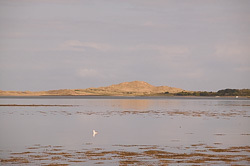 and for golfers too, with the great Rosses Point golf course. It also has some of the best surfing in the world. 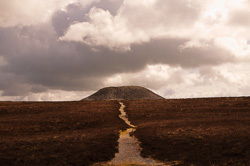 For the visitor interested in history there is the extraordinary megalithic site of Carrowkeel: like Loughcrew in Meath, it is a place that will leave you changed forever if you have the chance to visit it. 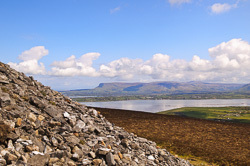 Looking down over Sligo town and Strandhill beach is the mountain of Knocknaree: at the top is the reputed burial mound of Queen Maeve. 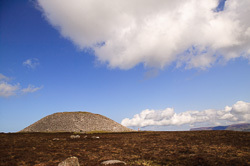 However this burial mound is almost certainly far more ancient, even if the Celtic queen is indeed buried there, dating to megalithic times. 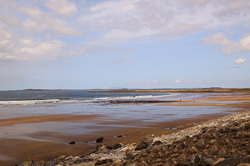 From this spot there are magnificent views of Ballysadare Bay, Strandhill, Coney Island, Sligo town and bay, and Drumcliffe Bay. 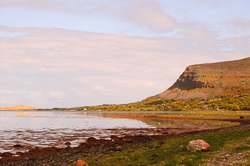 Sligo is another of these West of Ireland counties that is a dream for photographers: it is stunningly beautiful and largely unspoilt. On this gallery you can see some of our images of this lovely land.